Upstart! presents fresh branding ideas for entrepreneurs and designers. To stand out in a land of consumerist plenty, the new generation of small business entrepreneurs has learned to set high design standards. Poised between playfulness and professionalism, their holistic visual identity concepts become an integral part of their core business. From hemp farmers to local box clubs to eyelash extension services, fresh start- ups and spin-offs from all sorts of sectors present themselves as inventively and style- savvily as ever before. Communicating through vivid visual languages that unfold across media applications, they involve the customer in authentic styles and stories. 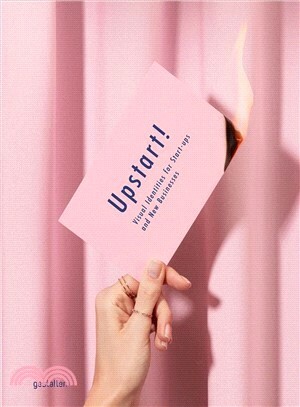 Upstart! explores the contemporary start- up scene's manifold ventures. With a focus on creativity and transformational branding ideas, the compilation covers classic stationery designs, innovative merchandise, interior concepts, and fresh digital applications that have been skillfully orchestrated to leverage business.